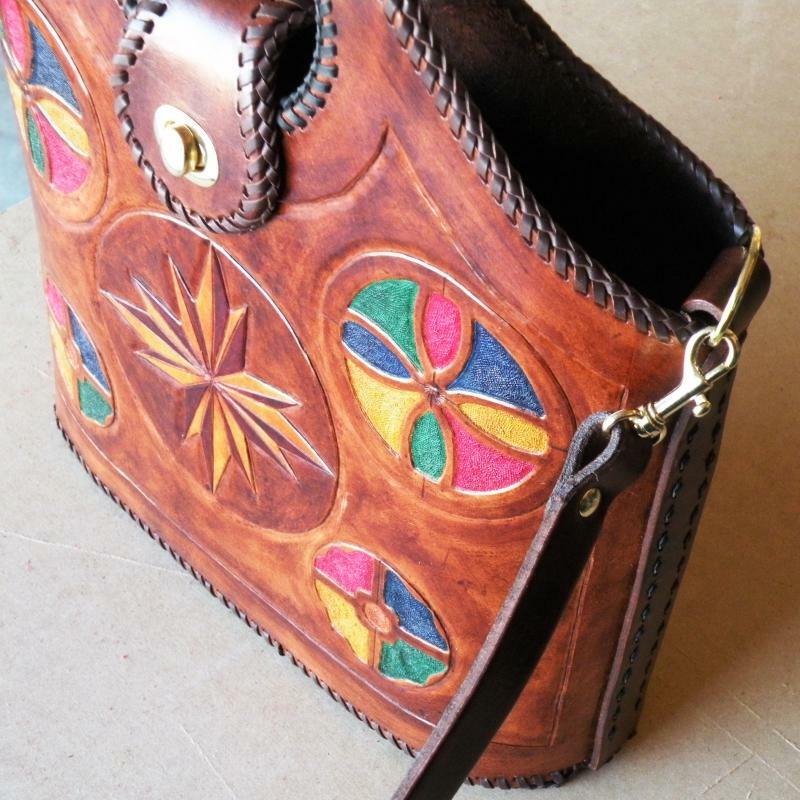 This is page with the biggest fashion accessory…wallets, clutches and purses…oh my! You’ll also find a few other things that fit into the “carrying” category. 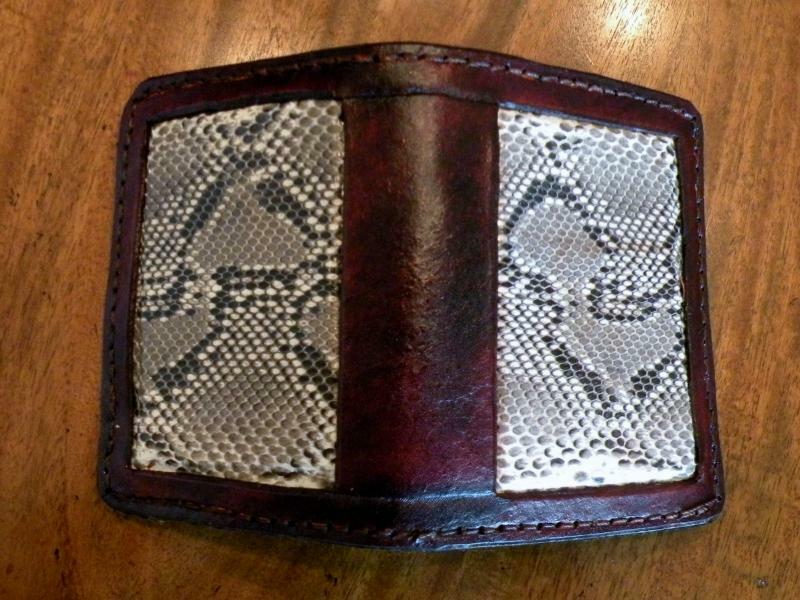 Men’s billfolds or wallets have a wide range of prices. The major differences are the size and number of pockets on the inside of a billfold….how many credit and id card do you have? There are also different quality of interiors. 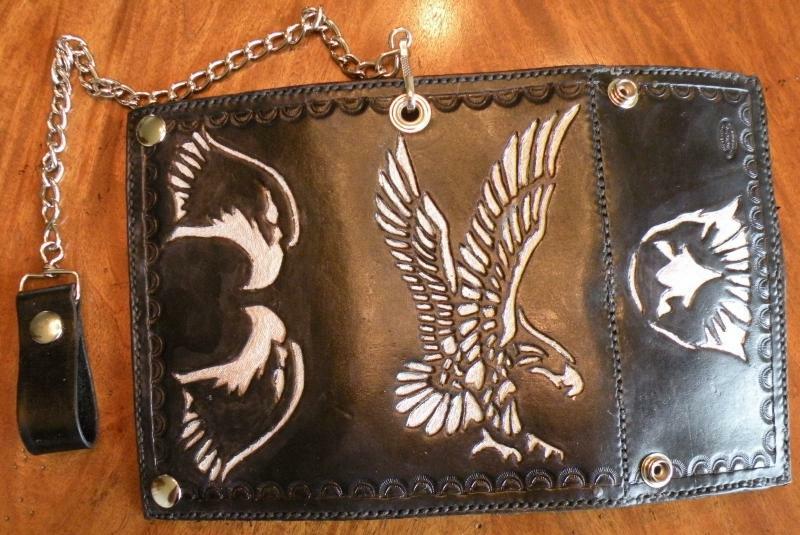 Other options include Biker wallets (shown below) and Roper wallets (which includes room for a checkbook). Another convenient way to carry bills without getting a wad of cash balling up in your pocket. 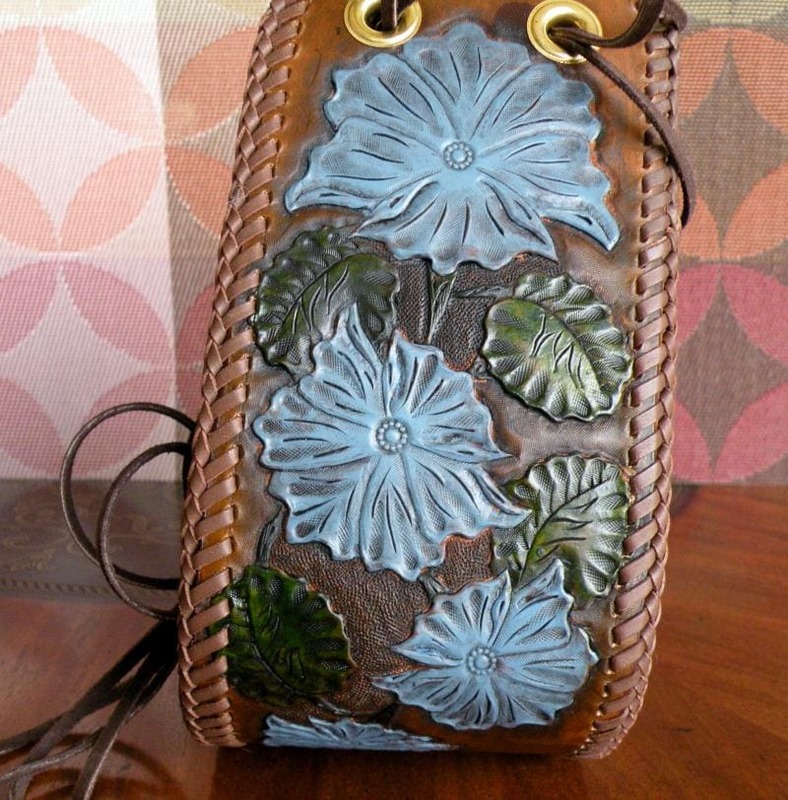 Can be made of cowhide or something more exotic, such as the stingray hide shown in the picture. As always, colors and designs are up to you! 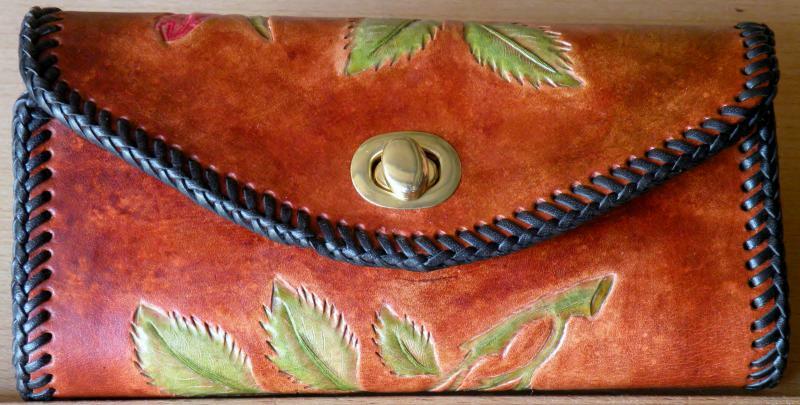 Add that extra pop to a billfold by additing an exotic leather accent! 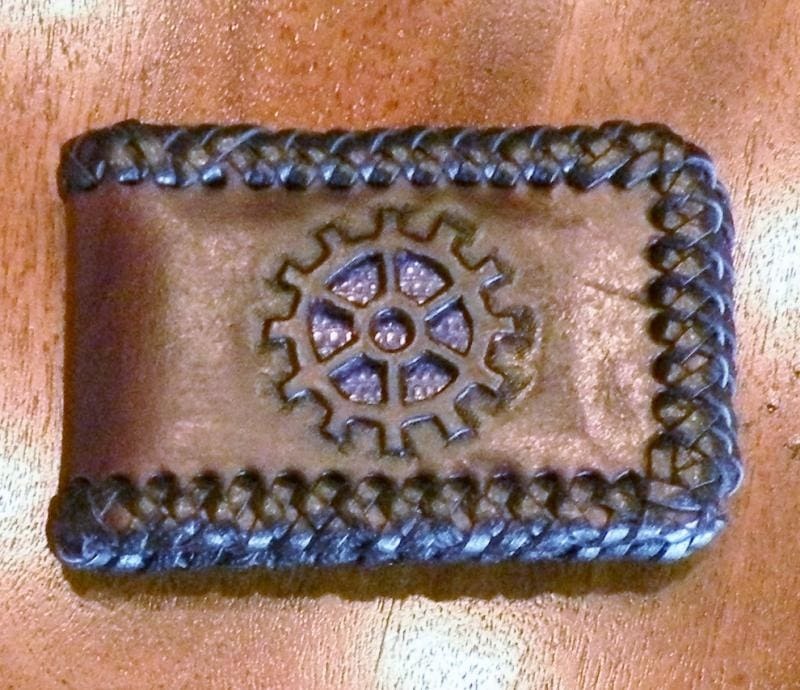 Just hate the typical plastic checkbook covers that you get from the bank? 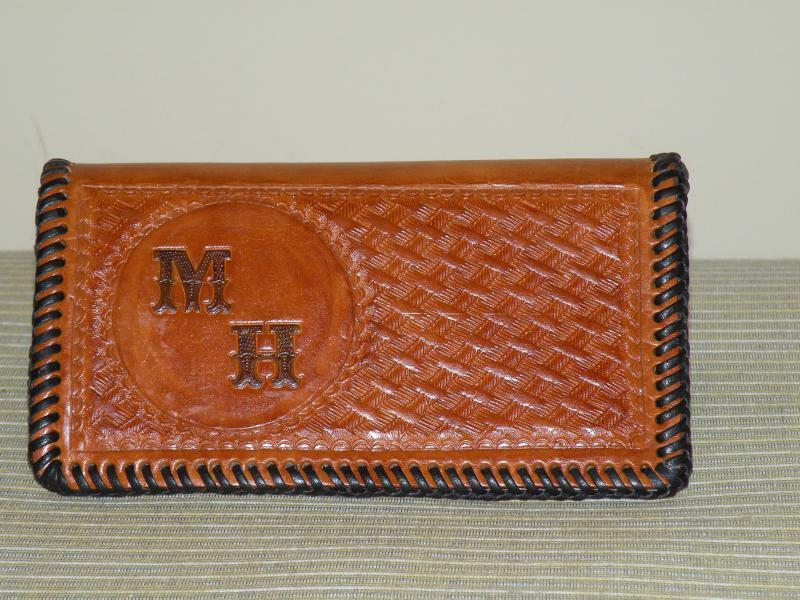 Upgrade to a custom leather checkbook. 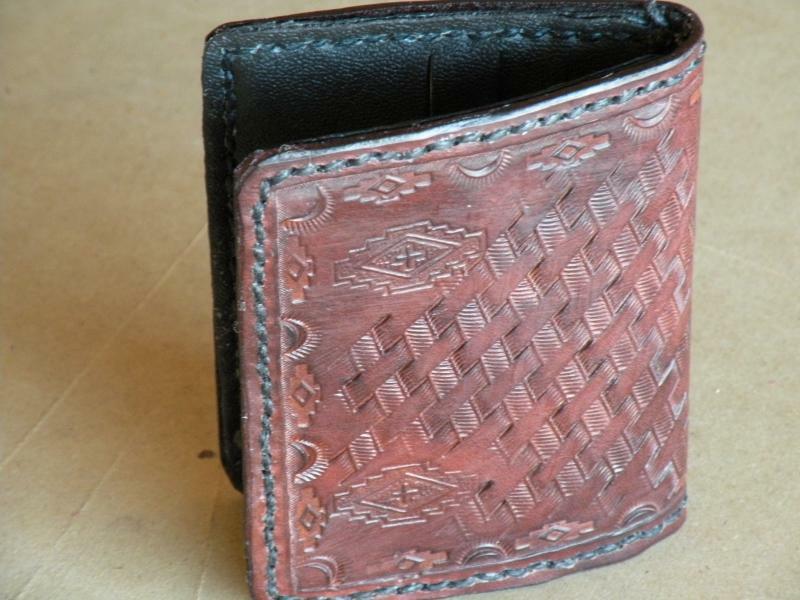 Basic version is tooled and lined, with pockets for both your checks and register. 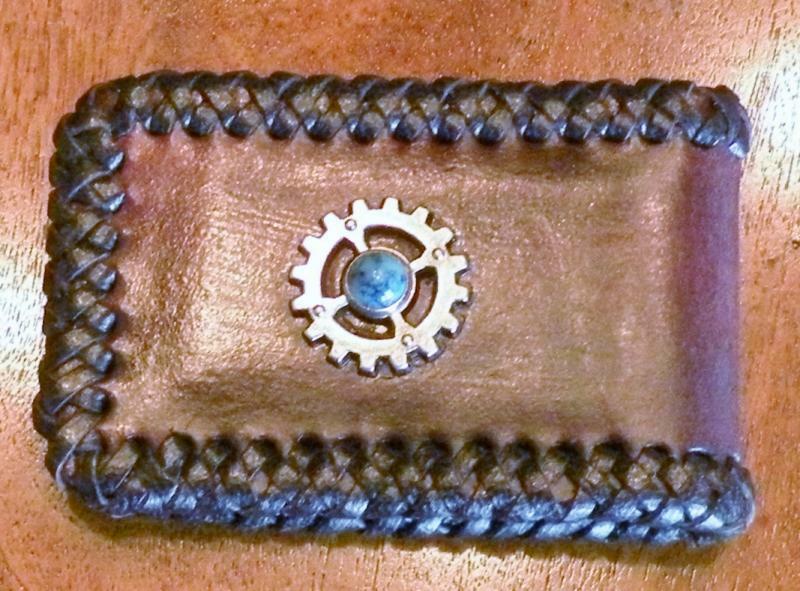 If you want to combine some currency and credit cards with your checkbook, you can get the Roper Wallet which can either be sewn or laced. As always, tooling and color(s) are up to you. 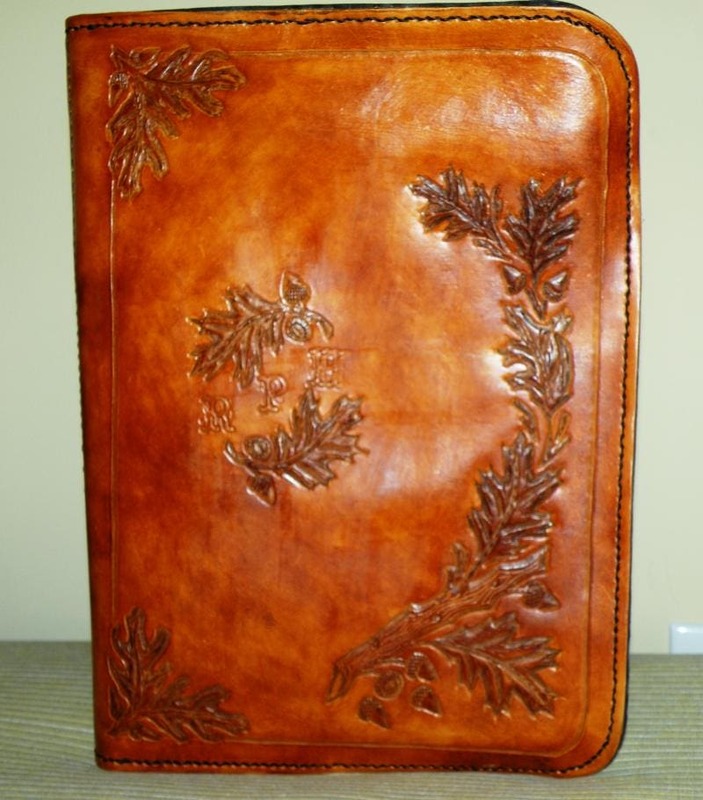 Carry your paper, pens, notes and cards and everything else you need in this quality leather portfolio. 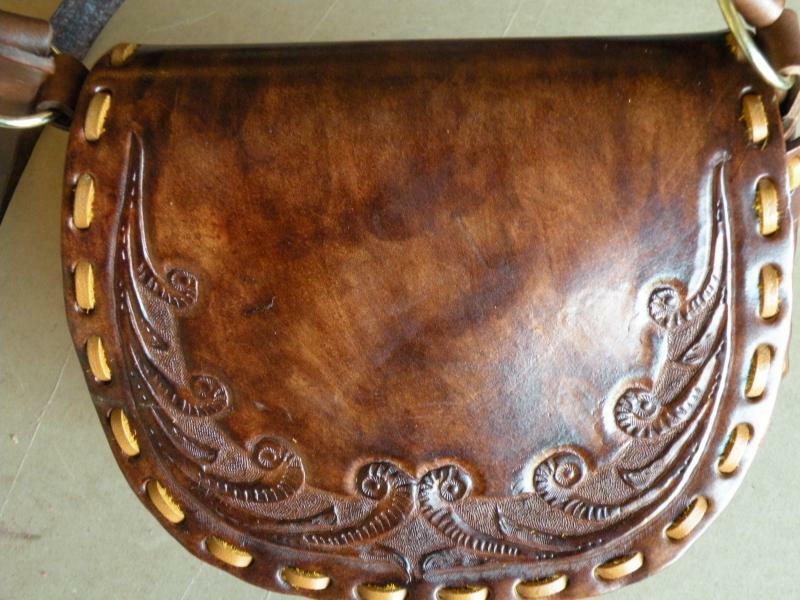 Lined and tooled, it adds class to any meeting you attend. 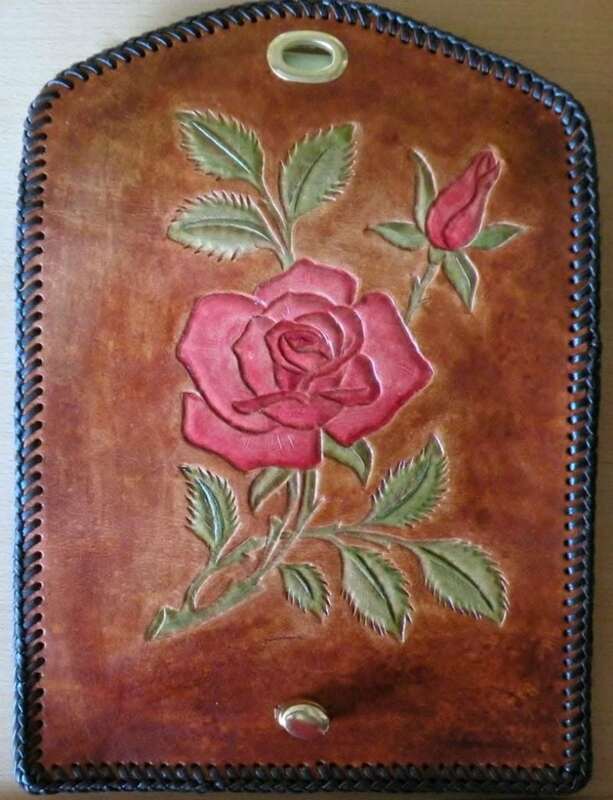 As always, tooled and dyed to your specifications. 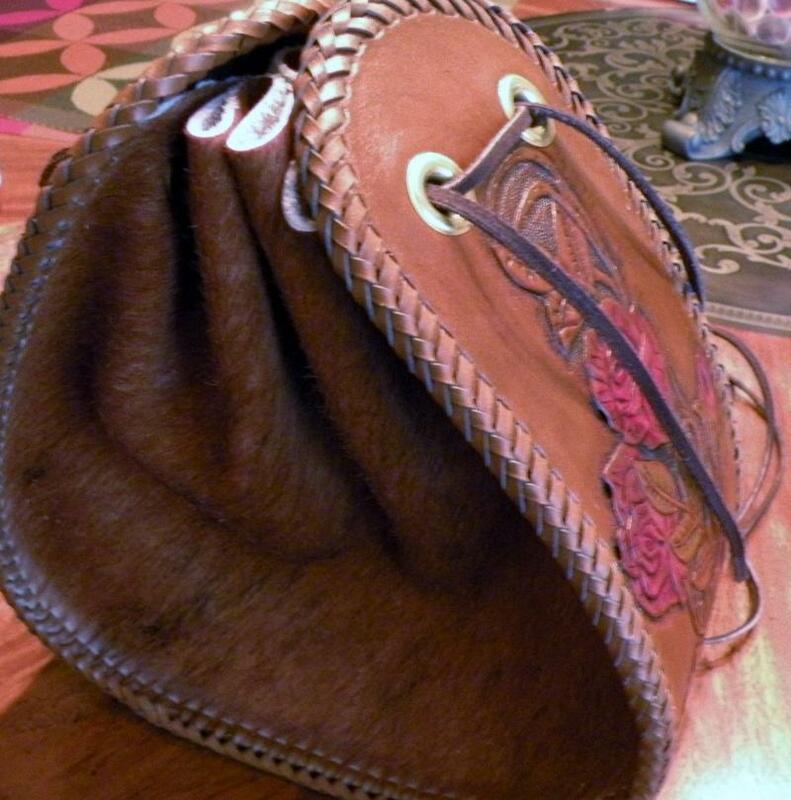 purses are both stylish and functional. 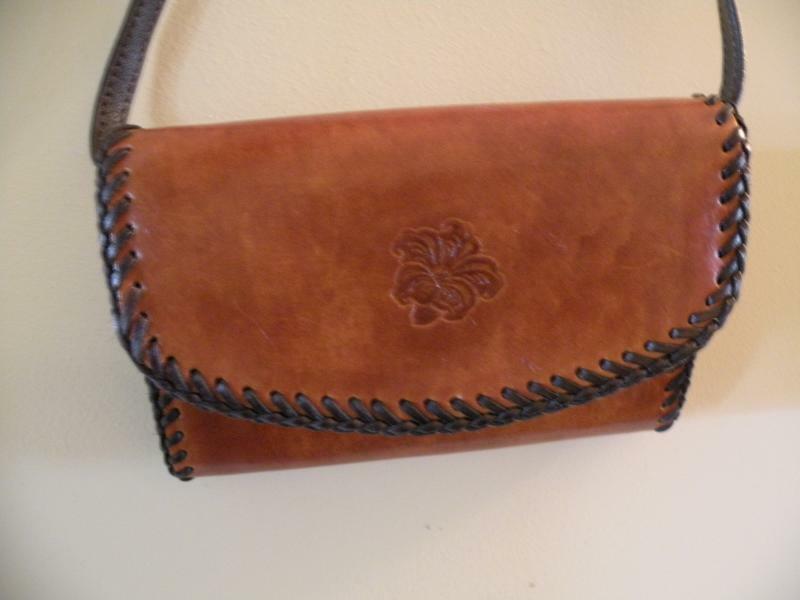 A simple clutch that also has a shoulder strap. Different versions available, and of course design and color of your choice. A simple shoulder bag (9.5″ x 8.5″ x 4.5″) provides a clean way to carry those essentials. Tooling can be on flap only (this view) or also on the back. 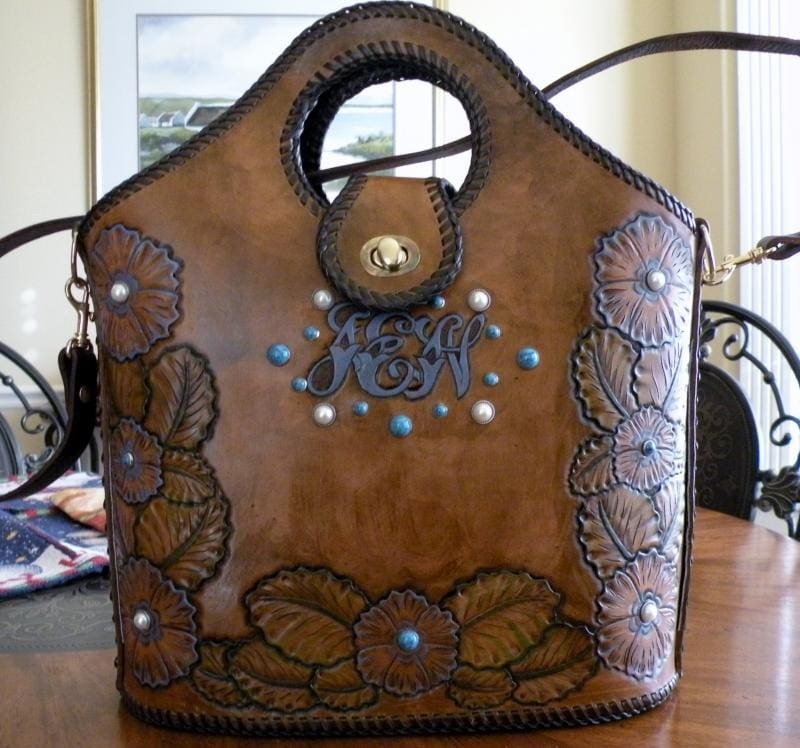 Name or initials make a nice touch for the front flap. Another simple shoulder bag measures 9.5″ x 6″ x (4.75″-2.5″ taper from bottom to top) with a front pocket that is 7.25″ x 4.25″ x 1″. 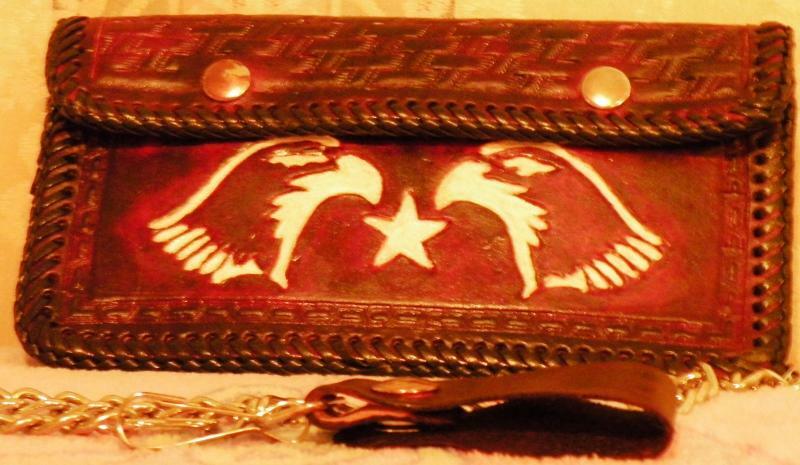 A popular purse measuring 12″ x 8″ x (3.25″-1.75″ taper from bottom to top). There’s a strap with a magnetic snap on the inside to keep the purse closed. This is the biggest bag I typically do, measuring 11.75″ x 14″ x 4.75″. Due to its size and intricate construction (see “The Making of a Purse” below), it’s also the most expensive purse I typically do. 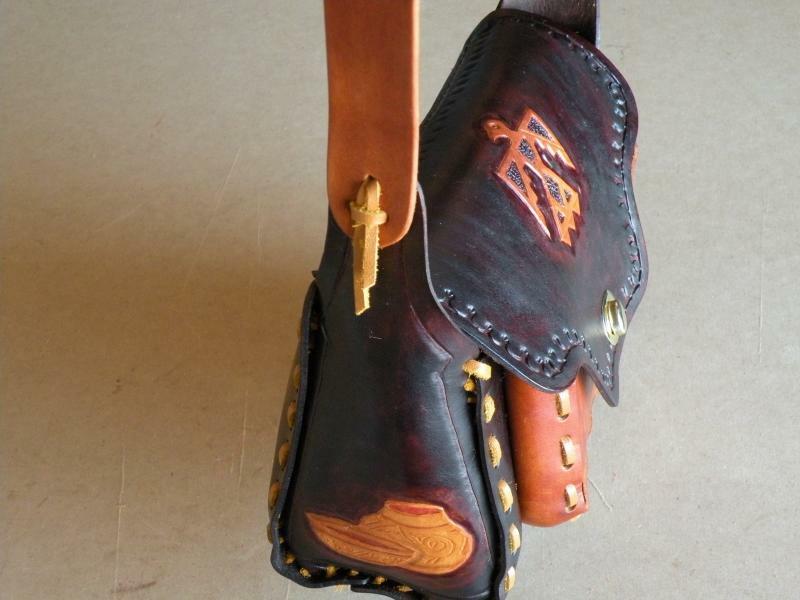 Other options include lining or adding interior pockets or a custom strap. “The Making of a Purse” – Follow this link for an illustrated explanation of how the Market Bag (or any item here) is created.